Storage box with locking top. 11 x 11 x 9"
Box it up Stockholm style! 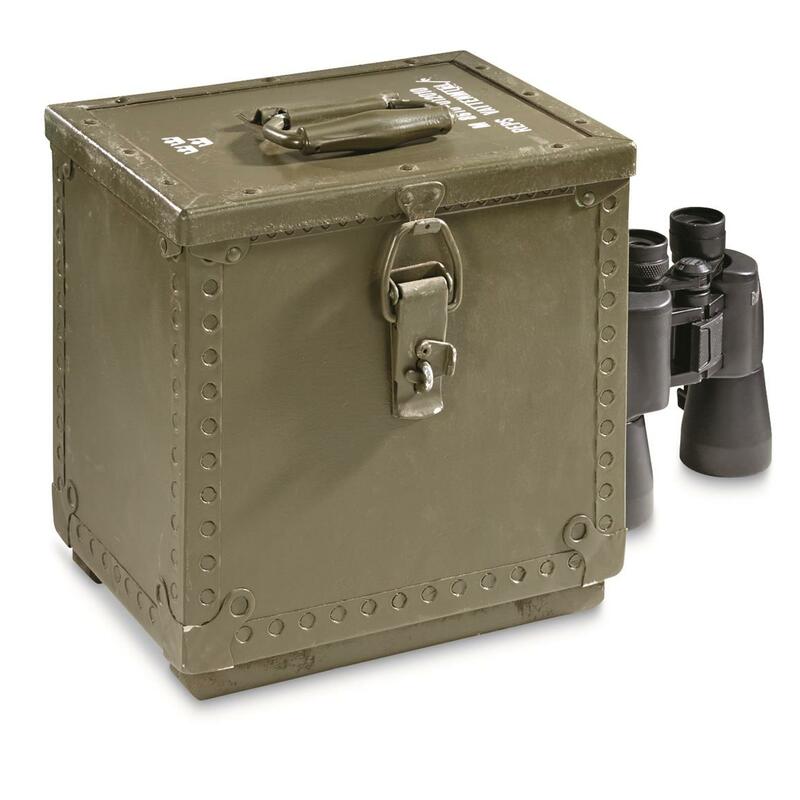 Here's a sturdy Swedish Military Wooden Box, originally deployed to store, protect and transport high-tech military optics such as tactical night vision. Now you can own this tough wooden workhorse to store a variety of gear such as hunting items, decoys, guns, ammo, collectibles, tools and you name it. For steadfast storage, order ONLINE today! Dimensions: 11 x 11 x 9"